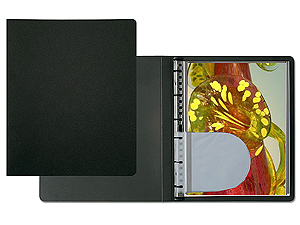 This refillable presentation book for 11x14 photos features a durable polypropylene cover with an easy open low profile spiral mechanism. Availability: Ground orders usually ship in 2-3 business days except Black out of stock. Add To Cart to view ship rates and delivery dates.